Mozilla is making it easy for people to try Firefox OS ahead of the system's appearance in developed countries in 2016. As Google did to Microsoft, now Mozilla is doing to Google. Well, sort of. The Firefox-maker recently announced that Firefox OS 2.5 is ready as a developer preview. To make it easier for developers and interested users to try it out, Android device owners can download Firefox OS 2.5 developer preview as a system app launcher. Instead of going through the pain and commitment of re-flashing your phone with Firefox OS, all you have to do is download and install Mozilla’s APK. Then the next time you try to hit the home button on your device you’ll see the option to use Firefox OS as your app launcher. From then on you’ll experience what Firefox OS has to offer without losing your Android apps. The story behind the story: Mozilla’s offering of Firefox OS as an app launcher is reminiscent of what Google did with Chrome on Windows 8. Using Chrome in Windows 8 mode effectively gives you a Chrome OS interface. This gave interested users a taste of Google’s browser-centric OS within Windows, Trojan horse-style. Mozilla’s not really doing the same thing here as this is just a developer preview that only technically apt people will ever use. But there’s no reason why Mozilla couldn’t put its launcher in Google Play once the bugs are worked out. That would be a very helpful strategy for Mozilla ahead of Firefox OS’ U.S. debut in 2016. Developer Preview means the occasional bug. Then download and install Mozilla’s APK to get your Firefox on. Taking a quick look at Firefox OS on Android, this is a fairly straightforward (some might say boring) way to use a mobile device. You have a selection of stock Firefox OS apps on the homescreen as well as access to Firefox OS Marketplace to get more. 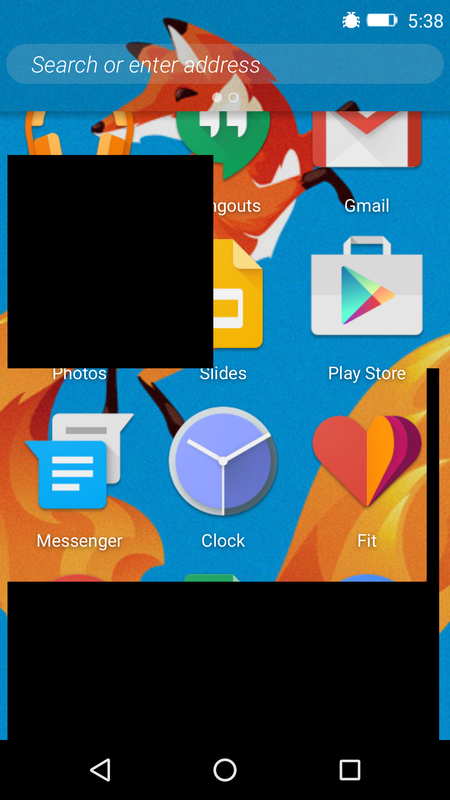 Unlike most app launchers, however, Firefox OS goes pretty far in how much it changes your device. The standard Android pull down shade—where you have quick access to features like airplane mode and Bluetooth activation—is gone, replaced by the Firefox OS version. You also have the option of using Firefox OS’ lock screen, though it’s deactivated by default. That’s not a great idea unless you’re developing something that uses the Firefox OS lock screen since you’ll end up with two active lock screens at once. As this is a developer preview you can also expect awkward behavior, but if you’re curious about Firefox OS this is an easy way to take a gander. 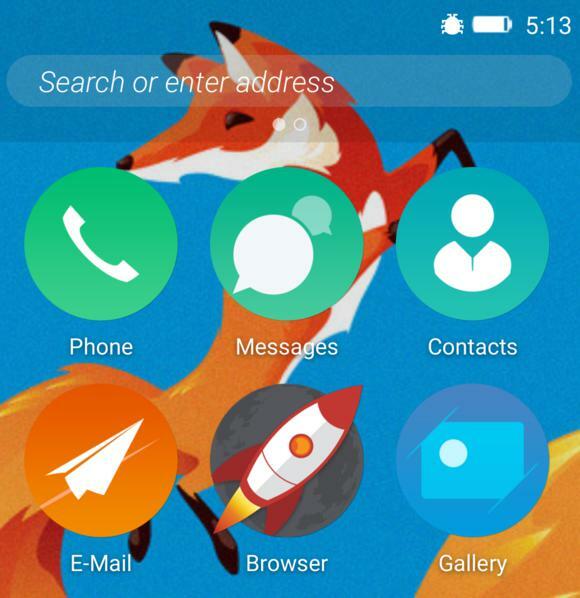 Firefox OS 2.5 brings a few notable improvements to Mozilla’s mobile phone operating system, including system-wide add-ons, tracking protection, and the ability to pin any webpage to the Firefox OS home screen. If you get tired of Firefox OS as Android launcher you can get rid of it by scrolling downwards to the Android Settings app. Inside Settings, find the “Device” heading, tap Home, and select the standard Android launcher that comes with your device.